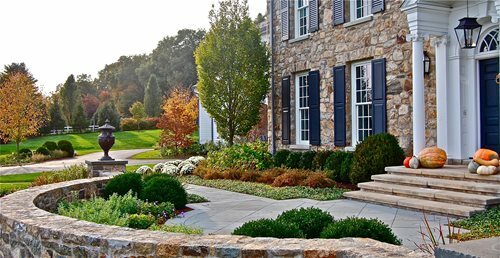 Use this design sheet to help you create the perfect Colonial landscape. You'll get ideas for color, décor, materials, plants and fabric. 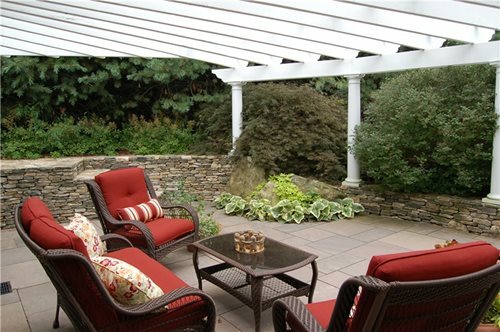 It is a great starting point for any New England landscaping project. 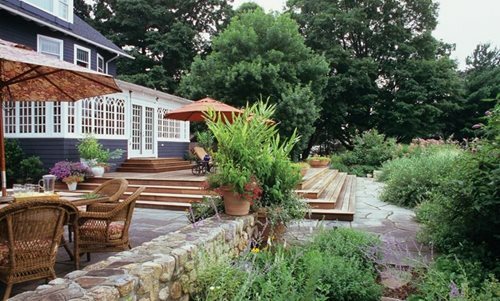 The Colonial garden style dates back to when the Plymouth colony settlers arrived in America and had to re-adapt to not only a new way of life, but a different climate and soil. The Colonial design was introduced on the fundamental principles of survival. These gardens were used for cooking, baking and keeping away insects; with very few plantings for ornamental purposes. Today the style has combined the classic functional design with a loose combination of pastel colored flowers. 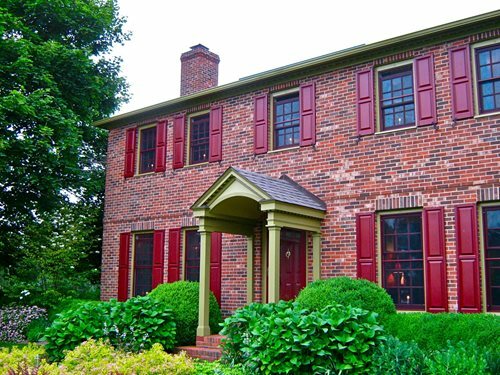 The Colonial style is ideal for homes built with a colonial architecture or for homeowners wanting a functional, more formal landscape. 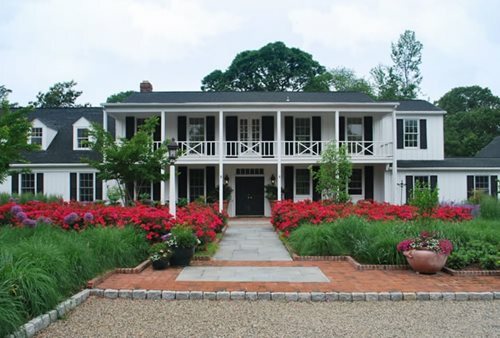 Colonial gardens can be broken up into 3 differing levels. The first being a landscape designed purely for function and survival, which often were seen in the rural colonial areas. The second resembling the formal gardens of Europe, having areas for function and then opening up into a more rural design further from the residence. The third design was almost a carbon copy of the heavily designed and maintained gardens of their descendants. These gardens consist of herbs and vegetables but they were located far from the home. 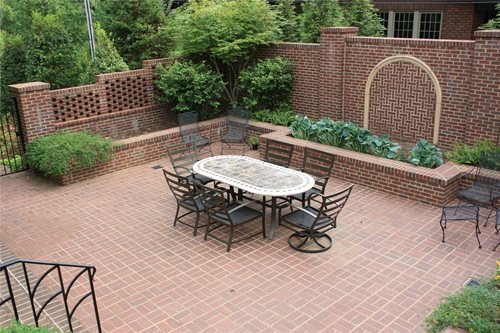 Designed more for looks than for function, these gardens were those of the colonial aristocrats. Vegetable gardens - were necessary for the basic functions of survival during the colonial period. They were built in raised beds close to the home. Plantings - consisted mainly of species from Europe shipped in containers or by seed. Native American plants were incorporated as the colonies familiarized themselves with their uses. Gravel walkways - are straight and symmetrical between planting beds. Fencing - was required by law in the colonial times, even though it’s just an option today it is still a vital part of a colonial design. Color Palette - should be a mix of colorful pinks, blues and creams in pastel shades. 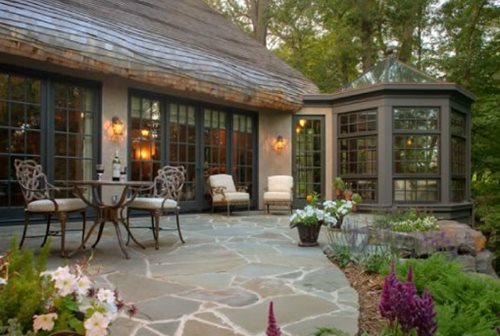 The light color scheme softens the formal atmosphere in the garden. Colonial landscapes, much like their architecture, are symmetrical and often broke up into four quadrants with walkways in between. Fencing was important as a divide between the home and strays; the most common type of fencing materials is picket, post/rail and brick. 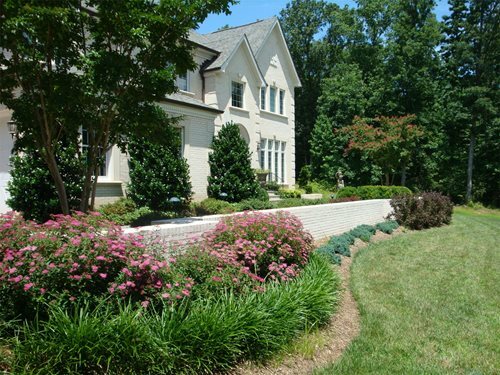 Most gardens were located adjacent to the home for easy accessibility. Raised beds were necessary due to the harsh weather conditions, and kept the soil warm in the winter. The design of Colonial landscapes are diverse, which dates back as early as they were introduced. 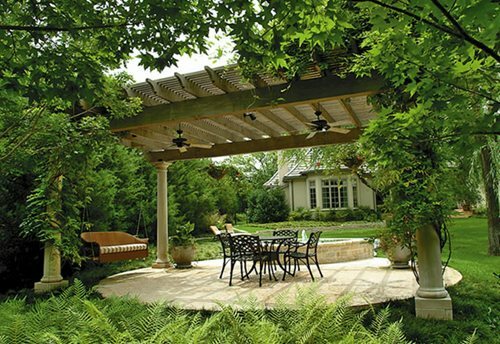 Settler’s gardens varied from one to another depending on the needs of the homeowner, which is common still today; so get creative with your colonial design and design it to suit your needs and lifestyle.